<a href="San Deigo 2013 brochure“>To check out the official BotCon preview, click here. 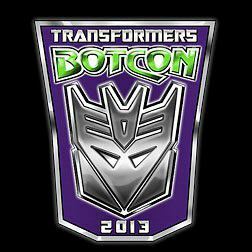 Just a day away from Botcon 2013. This is the ultimate convention for any Transformers fan. Surprisingly, one might think, strange I have never attended the convention. Ever. The truth is, it is quite pricey to make the trip. Plane tickets, travel expenses, hotels, and paying for the convention itself. Is there more? Of course there is! Toys! Toys! More Toys! Let’s face it, eBay is a big hit with convention attendees. Last year, eBay sales hit record highs in-part thanks to attendees at Botcon, buying the exclusive at-show-only figures, and then IMMEDIATELY hawking them on eBay for maximum profit. How insane is that? Well, it makes perfect sense. For these die-hard fans, going to Botcon is a big thing. A Hall of Fame Dinner, special dealer rooms. Autograph sessions and photo ops with people who contribute to bringing their favorite Autobots and Decepticons to life. Artist Alley, Q&A panels, special movie screenings, toy reveals, special behind-the-scenes into new animated series and future toys and collectibles. What can be more fun than standing on lines hours long just to get a hold of special never-before-never-released-again figures which see a temporary spike in aftermarket value only to come crashing back down to normalcy months later, after the convention craze had died down? Plenty! This year features the Transformers Film Fest, where fans from all over get to show off their own visions of Transformers in movie form! The Customization Class is a huge one. Not only are there a limited number of seats available to create your very own exclusive figure which will skyrocket in value, but you get to spend a day honing your skills, learning how to assemble and customize your very own figure to take home or hawk on eBay! Am I being too cynical? Absolutely! The Casino Night party is a night of fun and prizes. Big buffet dinner, auctions, and more gambling fun! 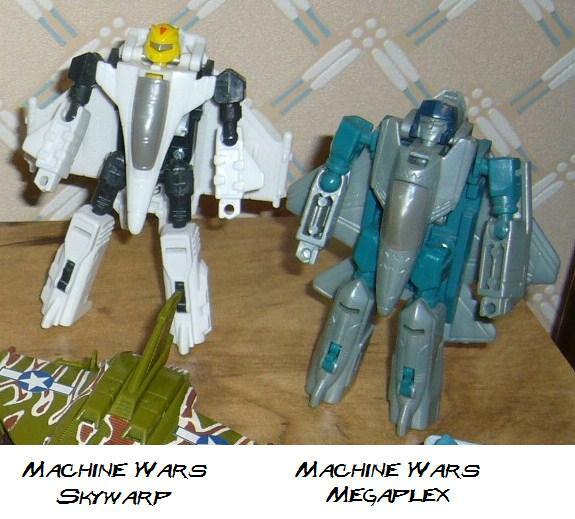 Decepticon Megaplex – An homage to the Machine Wars Megaplex, this new version is upgraded using the TF: Prime Skyquake/Dreadwing mold and is now a big shot in the Decepticon army. 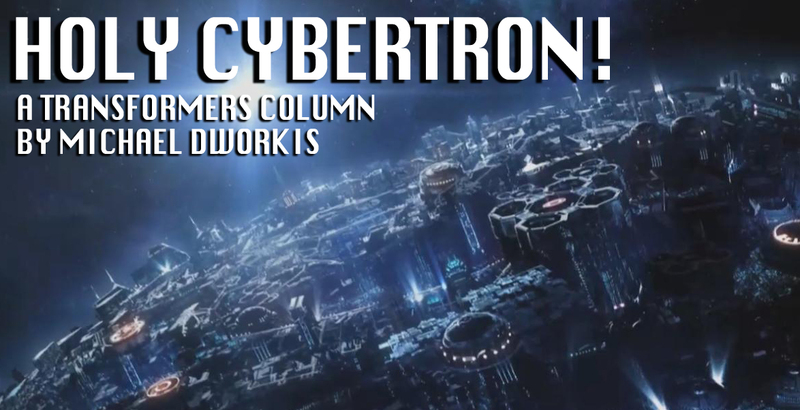 Decepticon Skywarp – A clone? Maybe? Maybe not. Only the story in the exclusive comic will tell. Skywarp gets a new version, based on the Dirge mold from the Transformers movie, Revenge of the Fallen. Autobot Hoist – The third Machine Wars figure getting the update treatment gets the slick mold used for Generations Kup. Sporting a new head-mold, this character spawned a lot of debate on Transformer forums with fans wondering if more repainted versions are on the way. General Obsidian & General Strika – Two characters NOT from Machine Wars make it into the set. 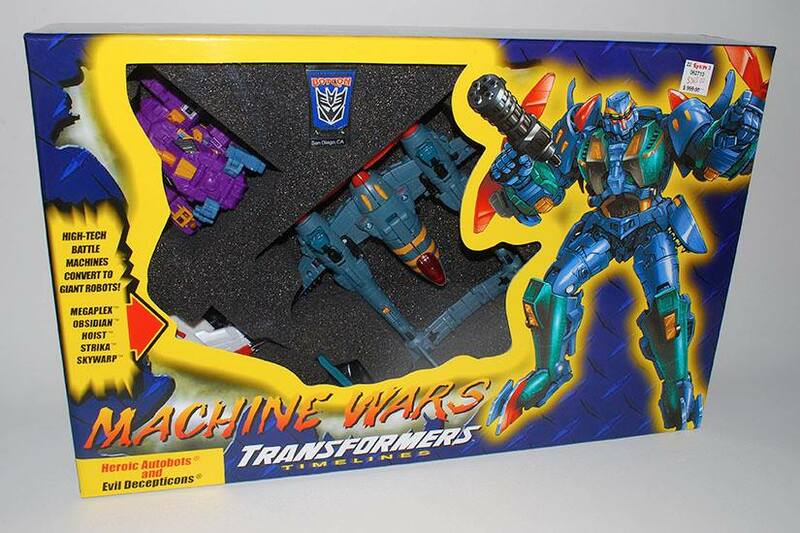 Both of the characters are originally from the short and confusing series known as Beast Machines. Possibly Autobots, both characters get the update treatment from their toy counterparts while still retaining the look and image which fans of Beast Machines will recognize. Obsidian uses the Hunt for the Decepticons Highbrow mold while Strika is a repaint of Generations Warpath. Both characters are also cast with new head sculpts. In addition, a free figure is given to attendees, and is not sold anywhere else. Everyone loves a freebie, except when it shows up on eBay. As the recent trend, there will also be two 2-packs and one 3-pack of exclusive figures available for purchase. Traditionally the 3-packs are “Troop Builders” while the other two have figures attached to the theme of the convention, or linked with a past convention theme. 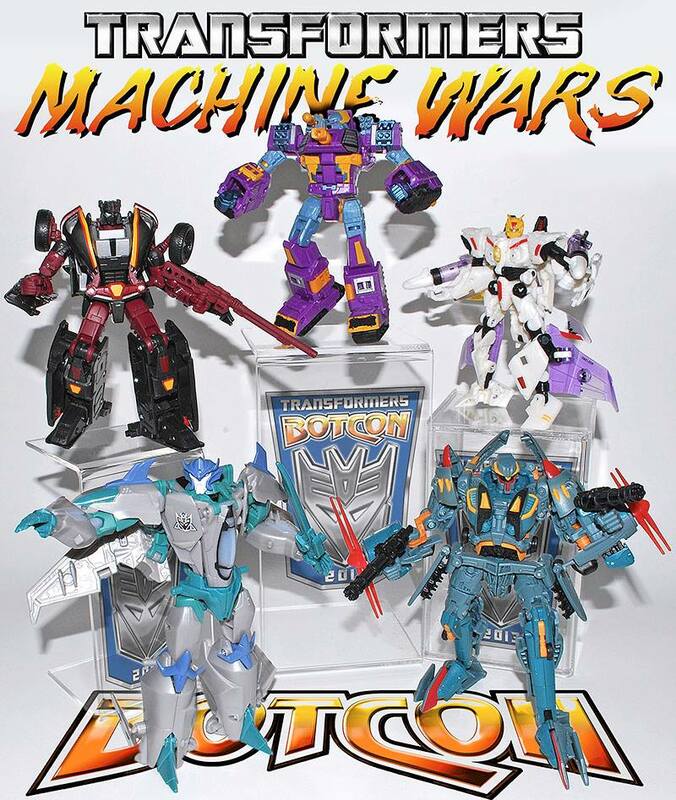 Special guests, outdoor movie events, an awards party, panels, seminars, door prizes, dealers, exhibitors and much more awaits for those brave enough to make the trek to Botcon 2013!